Today, many people try to start a business not only in the real but in the virtual world as well. However, not everyone is successful in this field because it is not easy and simple. It is a fact that the World Wide Web is a great place to do business. Of course, building an online business takes a lot of time, energy, and patience. Nevertheless, business owners make various mistakes that unfortunately prevent them from being successful. The success of an online business that can offer an excellent income online depends on many factors. The role of luck is among of these factors. Some events are unpredictable, and can lead both to stardom or a complete collapse. 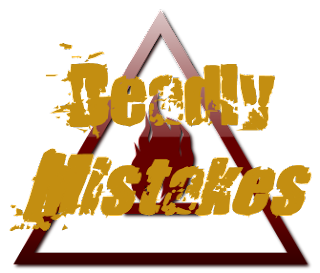 It is simple – you can properly do a huge variety of activities and make a small mistake which may be fatal. Unfortunately such mistakes are very common. Being a consultant in various areas related to the production of software and computer games, retail, medical, and political spheres, the real estate and auto trade, a person makes mistakes that eventually led to a reduction of total incomes. The Internet Marketing introduces 15 fatal mistakes no one should make. Moreover, instead of making mistakes, you can learn from the mistakes of others. This shows complete lack of understanding about online business. No goals are set and prioritized. No business strategy has been built. Doing business without SMART goals is going fail not only for online business but for any business. Are you paying too much attention to a service or a company. Your website should not look like a bulletin board. The website should follow the principles of constructing commercial presentations. As a rule, a good commercial presentation is a powerful business tool because a consumer understands the benefits of the use of this service or product. Make sure that your messages to potential customers don’t contain spam. Sending messages to people who have really subscribed is very important, if you spam others there is a high chance that interested people would also not get your message due to strong spamming filters in most of the Internet email services. Always have a unsubscribe link on the emails to conveniently remove people from emailing list otherwise they are going to mark as spam. Never put all your eggs in one basket. For instance, spread the word about your products and services with the help of different social networks; don’t rely on Google only, like the most of the people do today. Google is just a search engine that has major market share, this may change in future and if not done wisely your business may be strongly affected relying only on one giant search engine. The potential customers are not easily going to trust you. In worst case, you may also have to face legal law suites related to copyright infringement. The involvement of programmers and designers in the process of the Internet-marketing. As a business owner, you must clearly understand that the Internet marketing – it is a separate field with its own laws and regulations, it has nothing to do with programming or a creative exploration of designers. There are plenty internet marketing tools available on all major mobile platforms including android and iPhone. You may want to checkout android internet marketing apps as well as iOS internet marketing apps. However keep in mind that having right people who know how to use these tools is more important than the tools themselves. Lack of a clear understanding of the target audience and its needs. A good salesman must know everything about his target audience. A good salesman is clearly aware of the field and knows everything about his competitors – the strengths, weaknesses, products and services. The absence of a database of potential customers. You have to constantly expand a list of potential customers and gather information about them. It will allow you to be prepared for uncomfortable questions. In addition, you will need to organize regular newsletter about your company and its services. At the same time you must also make sure you provide quality customer service to your existing customers. Retaining existing customer is the most rewarding marketing technique. Do not make these mistakes in servicing your existing customers. The absence of related products and services is not good for a long term business. Related products make clients to return to the company over and over again. Moreover, it is very important to have a strong relationship with clients. Uncomfortable and inconvenient procedure of selling goods. The ordering process must be very easy. As a business owner, you will need to continuously improve the service until is finally closer to ideal. Being aware of the recent UX trends may help you avoid this pitfall in your own business. In fact, tests and experiments allow verifying your efforts to find the ideal points – the ones with minimal outcomes provide greater effects. Unfortunately, it is almost impossible to decide what measures will attract more customers. Actually, this is an ongoing creative process. Texts published on the websites are created to force customers buying your products and services without further thoughts. There are a few reasons that make any website non-effective. Texts presented on the websites do not address the clients’ needs; they are poorly written, unclear and contain errors, not causing the client to commit immediate actions. The absence of a clear answer to the question about exclusivity and uniqueness of your products and services. You should identify the distinctive features of your product, its technological advancements, and opportunities for additional benefits associated with its purchase directly from you. Small businesses do not have the resources sufficient to master the entire marketplace. Besides, small businesses can effectively work only in the segment of the market. Never hide your contacts from your potential or current customers. Just imagine: you are in a store but cannot find a shop-assistant to help you out. Trying to find someone, you unfortunately lose your patience and leave. In fact, people who buy products online are less patient. A lot of internet business are running using many search engine optimization techniques and SEO tools, however SEO does not always help you a lot. If a website of your competitor is ranked ahead of yours, this is not good for you. Utilizing special techniques, SEO experts achieve good results, but this won’t give you success specially in long run. Always remember that your business goals and customer should focused not search engines. Of course, there is a way out when we can reduce the risk of errors and mistakes to a minimum and the mistakes we make we can see, correct very quickly and do not repeat them in the future. In other words, if you want to increase the appearance of your website and make your visitors to stay longer on your website, learn some useful techniques in order to be prosperous in the future. In conclusion, if your business online is not successful, the reason for that is obvious – it’s your attitude towards it. Probably, you don’t believe that success is possible. If you are not prepared well to conduct business online, then you lose. The choice is yours and it is rather valuable to completely understand all tips and tricks to operate successfully. Paul is always ready to help you with an article or essay of any complexity. He is fond of writing and most of his time is devoted to this process.